Everybody knows that once you get to even NL5 these days the games play pretty tight. With even the slightest bit of table selection NL2 is still primarily a circus. But that level is basically the only stake where that is the case anymore. So people ask me all the time how to beat the tighter games once they move up. Many people seem to think that they are impossibly difficult because everybody is a nit! The vast majority of your opponents at NL5 and NL10, and many even at higher stakes, only have one general strategy - "play tight." Therefore, they are only one step removed from being a total beginner. Now this is definitely the biggest step of all. There is nothing that I can tell you or that you will learn in any book, forum or training site that will allow you to beat the nits for the winrate that you beat that fish at. But many people seem to equate being tight with being good or at least hard to make money off of. Harder than fish sure but still profitable? Absolutely. So the first thing that we know about nits is that they play tight. And often at these limits they play way too tight. The beautiful thing about poker is that when your opponents play at extremes like this there is always an answer for it. The obvious answer in this situation is to just loosen up and take advantage of their tightness! The people that come to me and complain about their 1bb/100 winrate at NL10 in the "impossibly tough" games there don't seem to realize that the reason they aren't having any success is because they are a nit like everyone else! Does anyone get ahead in life by following the crowd? By being like everybody else? No, of course not. If you want to play like a weak nit you are basically just going to trade money back and forth with all of the other weak nits at these stakes. If you want to actually maintain a solid winrate in these games then it is time to play a few (or a lot) less tables for awhile and learn how to play poker. I go full on LAG in these games and it leads to very high winrates. By this I mean that in a full ring game I am playing around 20% of my hands and in a 6max game closer to 30%. They want to fold preflop all day? Cool, I will steal their blinds all day. I open up from all positions. Yes, even from early position (EP) although I don't go too crazy. My play opens up the most from around the button. I also 3bet far more. Close to 10% in either game. My 3betting is mostly on or around the button as well. As I always say with 3betting, pick easy targets! And there are plenty of them at NL5 and NL10. These are the guys who fold to 3bets 80%+. These are the guys who also fold to cbets at a similar high rate. They are fit or fold, weak players basically. Don't be afraid to fire another barrel on the turn or river as well if they start to get frisky with you and put on their sheriff's hat. The key is to keep the gas pedal to the floor against weak players like this. It's been said a million times but this game is not about the cards that you hold most of the time. It's about how you play against your opponents. It's really, really hard to make the nuts. There are many other ways to approach abusing the nit army as well though. For instance, many times it just makes no sense to 3bet them especially if they opened from EP. We know that their range is very tight so it is not very profitable to mess with them unless we have the nuts ourselves. Instead of just folding your suited connector on the button however try calling with it instead. Make sure that you are doing this in position (IP) and not with dominated hands such as broadways or even suited aces though. Now if we can hit something (especially two pair or better) that is obviously awesome. But that is just a bonus. Our intention in calling preflop was not to play fit or fold like them and only continue when we have a pair or better. That is losing poker. Our intention instead was to outplay them after the flop and win the pot with the worst hand a lot of the time. This is much easier to do IP. So the nit is of course going to make his cbet like 80%+ of the time. Yawn. Check your HUD stats on him right away. How often is he barreling the turn? If it is 40% or less then just call the flop and bet the turn when he checks to you the majority of the time. Most nits will just give up here even with the middle part of their range which includes stuff as strong as small overpairs. Instant profit! Or, we could take a different line on the flop. What is the nit's fold to cbet raise %? If it is over 50% then it will obviously be profitable to just raise it up right now and take it down. This is just a straight numbers game that will earn profit for you in the long run. Lean on your HUD in the tighter games at NL5+. Once you know how to set it up properly and effectively use the stats it can allow you to find profitable spots like this so much more easily. I have recently done a complete overhaul of my HUD with a thorough examination of the most important stats for success in today's microstakes cash games. I will be making it available as a free download for all of my blog readers soon in a future post. That's it for now. Thanks for reading as always and all the best at the tables! Blackrain, thank you for posting this. Question for you - what are your thoughts on how to play a nit when you're lucky enough to flop a monster, i.e. you call their PFR with a PP and flop a set, or call their UTG PFR from the button with 89s and flop bottom two pair. Do you think it's optimal to always start building a big pot as soon as possible? Would you ever consider slowplaying one or two streets? This is kind of a case by case thing. Overall though if you have TAG or LAG stats you will be likely to get more action by fast playing. If you have no history with the nit and you will appear as a nit to him on his HUD you should be more inclined to slowplay. 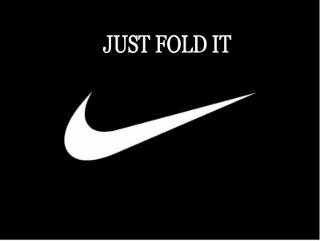 If the nit is really barrel happy though but folds to a flop raise a lot then you might want to play it slower in either case. Great article. I have been trying to do this myself lately, playing less tables and more LAG style. It has been working out well so far. Love the blog, thanks for all you do!